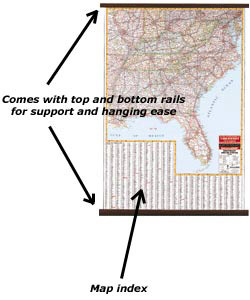 The Children’s United States US USA Wall Map 32×50 is available in paper, laminated or framed. A fun pictoral way to teach your child USA geography. 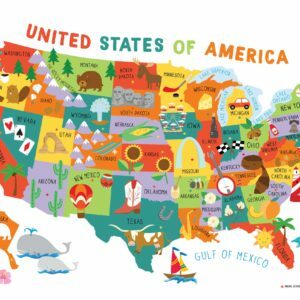 The Children’s United States US USA Wall Map for Kids 28×40. Do your kids know where Kodiak bears live? They’ll know with this fun picture map for kids. From sea to shining sea, learn more about America with this picture map. Get a snapshot of a state, region or the entire country through the accompanying pictures. Learn more about animals, landmarks and cultural icons on this laminated map for kids. 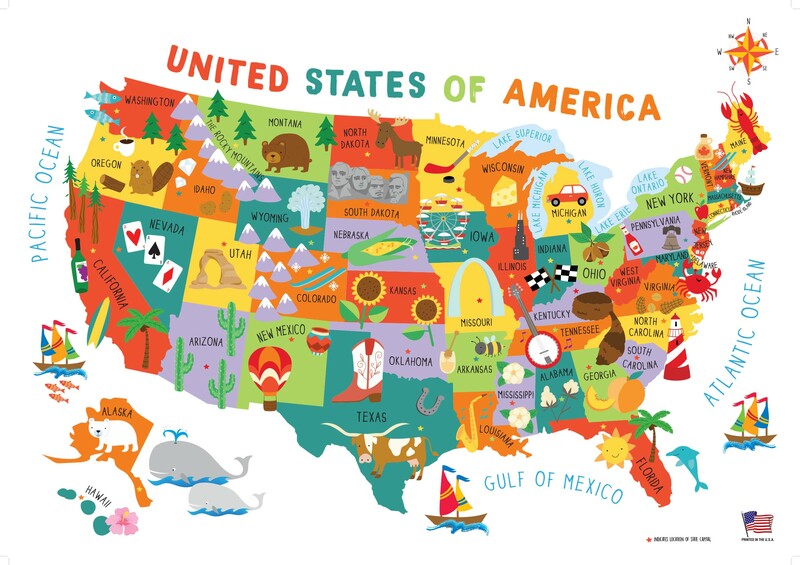 The Children’s Illustrated USA map has been our best selling selling United States kids map for over 10 years! Enjoy the best for your little ones. More than just a picture map! Expands on information on animals, landmarks, and cultural icons based on geographical location.